If you are a business and you have a website (and you'd better...), your first question should be obvious: How do I turn website visitors into customers? This question gets a little trickier for businesses that don't sell directly online through ecommerce. Companies that sell a service or products that don't lend themselves to being sold online (e.g., custom manufactured goods, high dollar/volume sales, products or services with long sales processes) may be left wondering if there's any hope for generating real customers through their website. A business that doesn't sell through ecommerce can absolutely turn website visitors into customers. The actual sale won't happen online, but acquiring the initial lead, nurturing them down the sales funnel and ultimately getting them to make a buying decision can absolutely happen online. 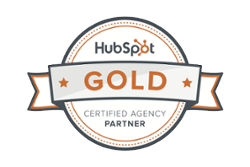 If you've read many of our posts you've no doubt heard us talk about Inbound Marketing at length. One of the reasons we feel Inbound Marketing is the answer to turning website visitors into customers is because the process is completely tailored to how customers buy today. 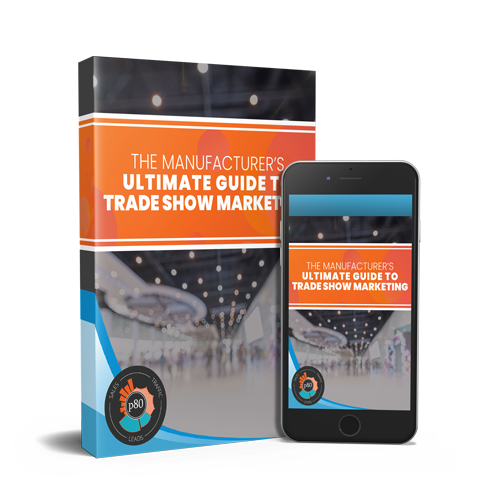 Gone are the days that a prospect thinks they have a problem with an aspect of their business and goes to a trade show to find an answer. Instead this prospect starts to research their problem online. If you are doing a good job of using Inbound Marketing to grow your business, you will be there when that prospect is looking for the solution you provide. Additionally, you will have strategically setup mechanisms to generate leads through your website that you can then nurture into customers both online and off. As was alluded to above, if you looking to turn website visitors into customers but can't sell your product or service online through ecommerce, you need to be focused on generating leads that can be educated and nurtured into customers. Assuming you have really nailed down your Buyer Persona(s) and know how to reach your ideal buyer's at each stage of the Buyer's Journey, you should be looking for avenues on your website that will allow you to provide some value to a website visitor in exchange for some basic contact information. That exchange is an online conversion by which you've generated a lead. No, they are not yet a highly qualified lead that your sales team should work. They are however a website visitor that has expressed some interest in your solutions by their willingness to provide basic contact details in exchange for something like an ebook or spec sheet. Once you've generated a soft lead online it's your responsibility to continue to add value for them. This helps build trust and establish a channel of communication through which you can re-evaluate their lead status, moving them to a Sales Qualified Lead over time, based on their actions and possibly scoring of the lead. It can't be emphasized enough that simply having a lead generation mechanism on the site is not enough to turn website visitors into customers. You have to have processes in place to use either email automation campaigns or manual steps to ensure that you follow up with and nurture your soft leads down the sales funnel. As your leads move closer to a buying decision, you are at an advantage because you've been educating them and building trust throughout their buyer's journey. When they reach the decision stage, you will be a logical choice and your sales people will have a much easier time closing the deal. Having a direct online sales feature is not at all necessary for getting new customers online. You just have to setup your website to reach your ideal buyer at each stage of their buyer's journey through strong, educational content. Additionally, your follow up and continued nurturing of the leads you generate is paramount to converting those leads into customers.